Today marks the very last day of 2011 and instead of reviewing posts from December, or posts only from 2011. I decided to showcase Delightful Order’s All time 10 most popular posts. Mainly because I've only been blogging a little over a year now, so I figure it's okay to showcase some from 2010 too. If you missed any of them, simply click on the link to be directed. As of now, my #1 MOST POPULAR is my Bringing Delightful Order to my Linen Closet post. 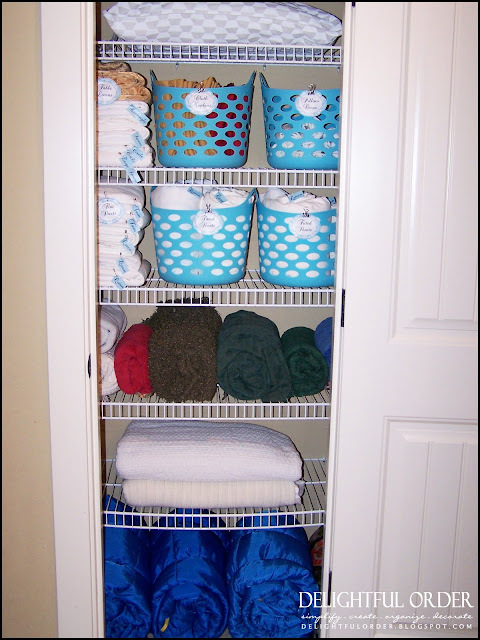 Funny huh, how a linen closet can be the most popular post on a blog. I’ve had several emails asking for a tutorial on how to roll fitted sheets and I hope to get to that real soon. Next up is the Boxes, Bins, Baskets and More Storage post. I had a few emails asking where I get all my storage solutions from, so I wrote this post to tell you where it all comes from. To all of my amazing customers, I hope you’re enjoying the organization of your children’s schedules, homework, etc. as much as I am! Thank you all for the orders. You all are the best. Truly, the business is appreciated!! 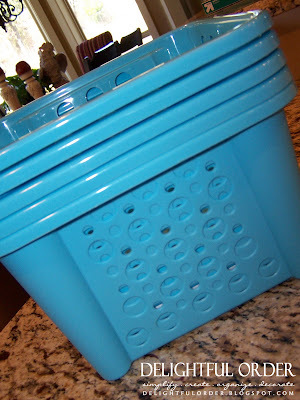 Another popular one is my Peek Inside my Pantry post. This one has been in the top 10 since I shared it way back when. Of course, it doesn’t ALWAYS look this good. It’s definitely a constant upkeep with 6 people in the home and I still want to put some cute labels on the baskets. With growing boys (who are forever eating) I’ve had to shift things around a bit. I hope to share the changes with you this year, but I’m certainly not making any promises as I have a list of posts that I’d like to create. 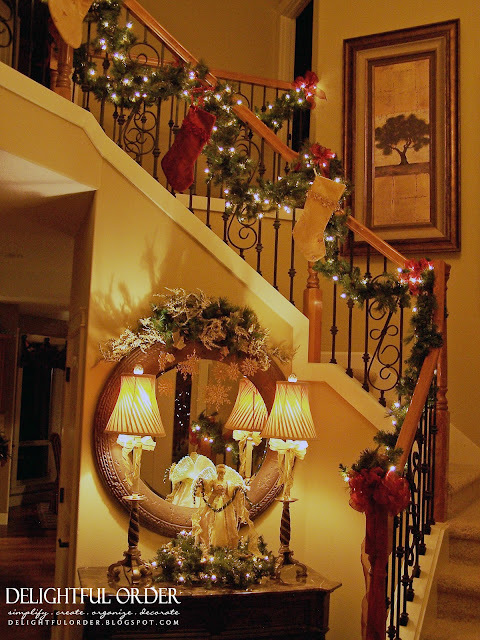 Another popular one is my Staircase Christmas Decorating post from 2010. Funny how so many of last years posts are still some of my most popular posts. (Probably because I have direct links to the posts on the blog sidebar.) Tour my 2011 Christmas Décor Home Tour HERE, if you happened to miss it. and yet another from 2010 is my Under the Stairs Toy Closet post. This was one of my very first posts here on Delightful Order and it still hits as one of the most popular. 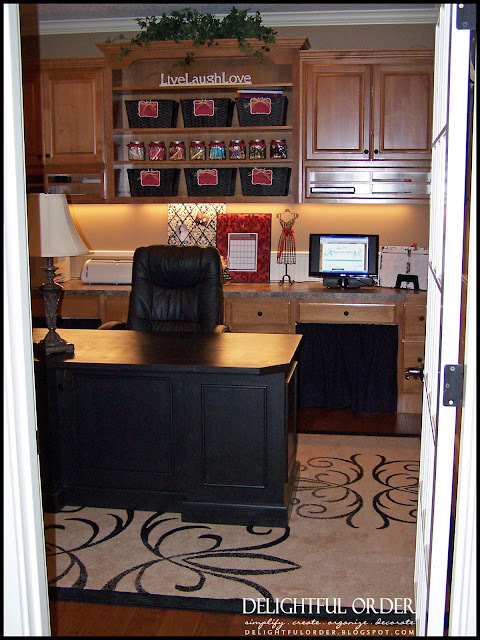 Then there is the Craft Room: Clients Home-Gift Wrap Center post that I did back in February. I had so much fun doing this room and I still LOVE to look at the pictures, especially the before and after one. 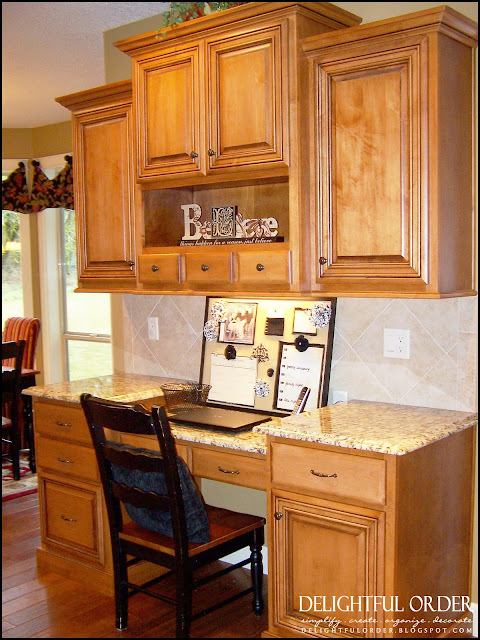 Next is my Kitchen Command Center post. A few changes have been made to this area since I wrote the post. Not too many. The changes made are all inside the cabinets and drawers. For instance, my Bill Organizing is undergoing some changes right now. 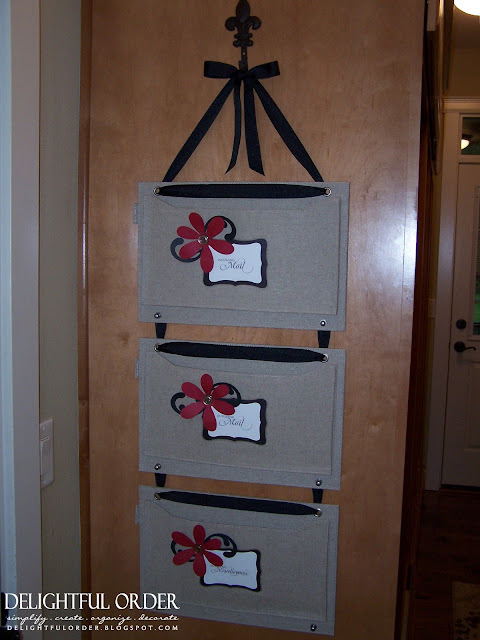 and the tenth most popular post is my Mail Organizer, which I created a while back. One of the things that I’ve learned about organization is that it’s a never ending process. You simply can’t be completely done, because we, our children, our lifestyles, etc. are forever changing. To stay organized in our ever-changing lives, I’ve learned to shift things around from time to time. Like for instance, I’m in the process of changing things a bit in the paperwork department. I’m almost ready for the New year, not quite done with the changes yet, but close. I’ll share what I’ve been working on soon. Wishing you a BLESSED and SAFE New Year! 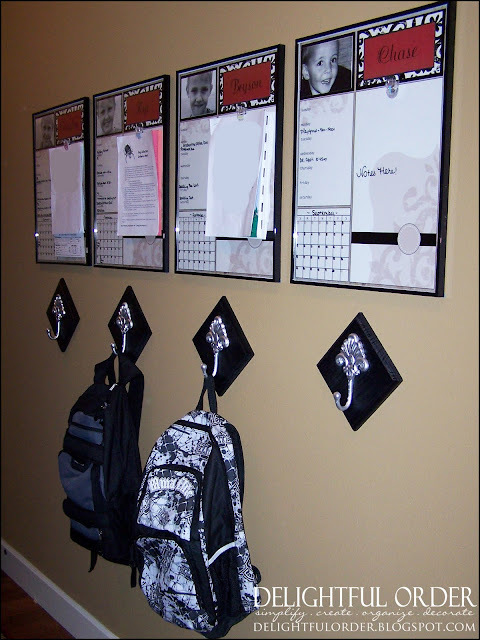 So many fabulous ideas DaNita! I SO enjoy reading your blog! The under the stairs toy closet remains my favorite. Wishing you a fun filled New Years and all the best for 2012! Cheers! I'm going to go back and read the kitchen and pantry ones. Thanks for this. I'm pretty new to blogging and to reading your blog but I can't wait to go back through some of those posts. Your pantry looks amazing! I'm going to have to say I love pretty much everything you do! One of my favorite blogs and hopefully I'll find even more inspiration from you in 2012.
p.s. 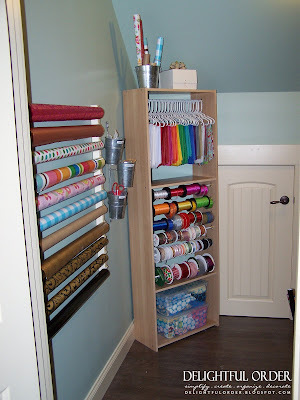 I LLLOOOOVVVVEEE that you made a post telling everyone where you can find the organizational supplies that you used in your posts. Super helpful. Thank you so much! I stumbled upon your blog a few months ago (through Pinterest) and I have to say I'm so glad I did. I'm in the process of organizing my whole house and I often reference your blog. You've had so many great ideas and I can't wait to see what's in store for 2012! I just started blogging and I love yours! one of my top new years resolutions is to get organized, I'll definetily refer to your blog. Love this! I think the linen closet is my favorite too! Staircase christmas decorating is beautiful.